Jayne Franklin is proud to serve the East Bay Area, from Richmond to Newark, and also including Lafayette, Moraga, and Orinda. Appointments outside this targeted area are also available! After studying animal biology and behavior in college, Jayne worked with animals off and on while also involved with other career paths. Now, she is excited to work professionally with dogs, embarking on her journey as the new owner and trainer of The Dog Squad Dog Training. Based on her experience with animals, including as an experienced equestrian, Jayne understands that successful communication with animals, especially dogs, requires patience and consistency. Her goal is to help each of her training clients realize and achieve a loving, healthy relationship with their dogs. Pet owners/parents should be able to trust their dog, and vice versa! To acquire the necessary skills to be the best reward-based dog trainer, Jayne enrolled in John Van Olden’s rigorous dog trainer course. John Van Olden’s school, Canine Trade Group, allowed Jayne to study canine psychology and also immediately work with troubled dogs from local rescues so that would become vetted and more adoptable. She learned hands-on how to utilize the quadrants of operant conditioning, and how to guide owners on setting their dogs up for reward and behavioral success. Canine Trade Group also gives Jayne unending training resources that keep her updated on all the latest reports, case studies, and effective methods on reward-based dog training. 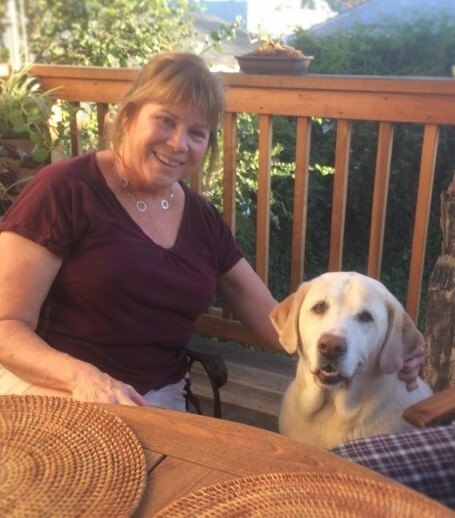 Upon her graduation at Canine Trade Group, Jayne came back home fully-equipped as a professional dog trainer and is now ready to help dogs in the Oakland/San Francisco areas! Jayne also trained directly with the founder of the Dog Squad, Steve Bettcher. Whether it’s behavioral modification, basic obedience and commands, puppy training, aggression rehabilitation, or even baby/dog training for expecting parents, Jayne will work with you until you achieve your goals. She believes proactivity beats reactivity, and she is ready to commit to you and your dog! Steve is retired and no longer trains dogs. Oakland based dog and puppy trainer Steve Bettcher is a Certified Dog Trainer from IACP and has been helping East Bay Area dog owners train their puppies and dogs for over 20 years. 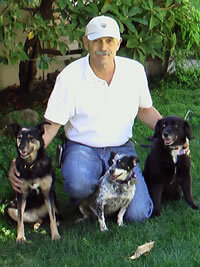 Steve has worked with all types of dogs and puppy/dog training problems. No dog or puppy obedience problem is too difficult or challenging for him to handle. Over 45 Veterinarians from the Oakland, Berkeley, Alameda and Contra Costa County have recommended the Dog Squad as their Bay Area Dog Trainer of choice. What makes a good dog trainer? Steve, a native of Oakland, has had animals all his life and enjoys the special bond that training a dog creates. He is knowledgeable about how dogs and puppies learn and about how they communicate. Steve is proficient in using various dog training methodologies. He believes that the real key to his success is in human communication… in teaching dog owners to understand their pets and learn the proper skills that make dog ownership so enjoyable. What would the world be like without the a dog’s grace, loyalty and dignity? Dog and puppy training are more than a job to Steve Bettcher. He is committed to making each dog’s life a better one and to helping each owner enjoy the responsibility of dog ownership to its fullest. Steve, born in Oakland and raised in the East Bay, has over 20 years of Bay Area Dog Trainer experience in both obedience and agility. He is a Certified Dog Trainer by IACP. Two of his own dogs have won three National Agility Championships and were awarded The NADAC Agility Trail Championship.